I can’t go to bed, it’s too dreamy. Ollie has hot pizza, Mummy has grape pizza, Daddy has a salad! Wow, there’s hundreds of boney fish. Daddy not march, Daddy teach! 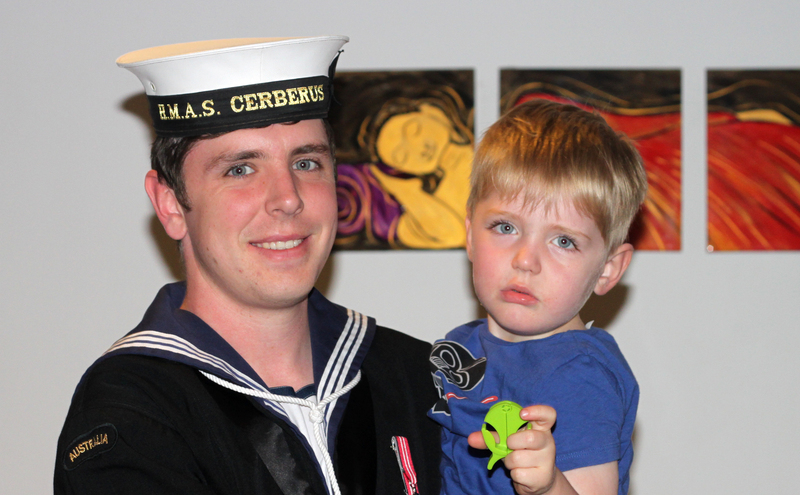 This entry was posted in 52 weeks of Oliver and tagged 52 project, Anzac day, navy, parenting, preschoolers.